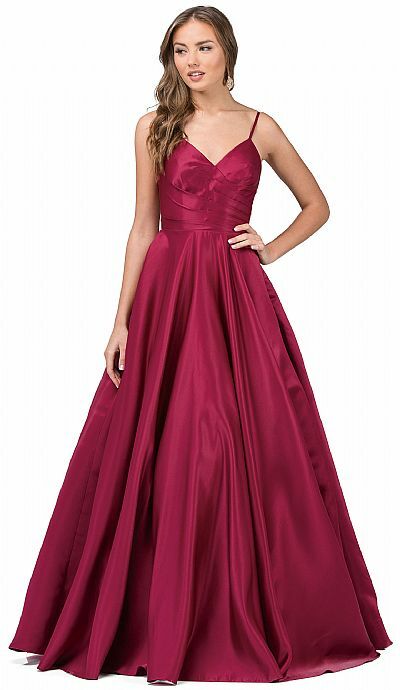 V-Neck Adjustable Straps Pleated Bust Long Prom Dress. Polyester satin dress has overlap style pleated bust with thin adjustable straps. 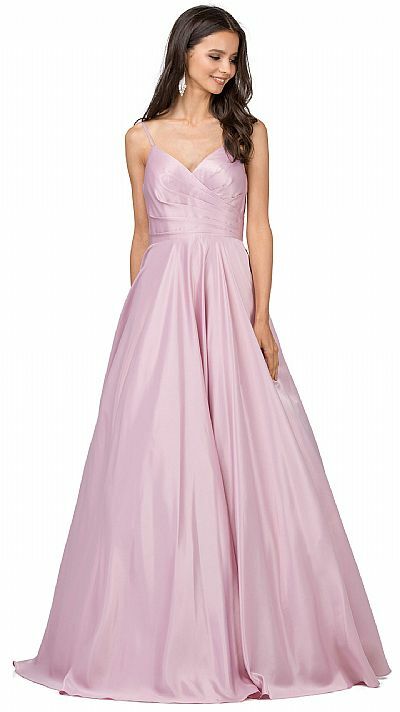 Floor length puffy skirt has tulle lining & back zipper closure too. 65" long dress comes with bra cups. Imported.